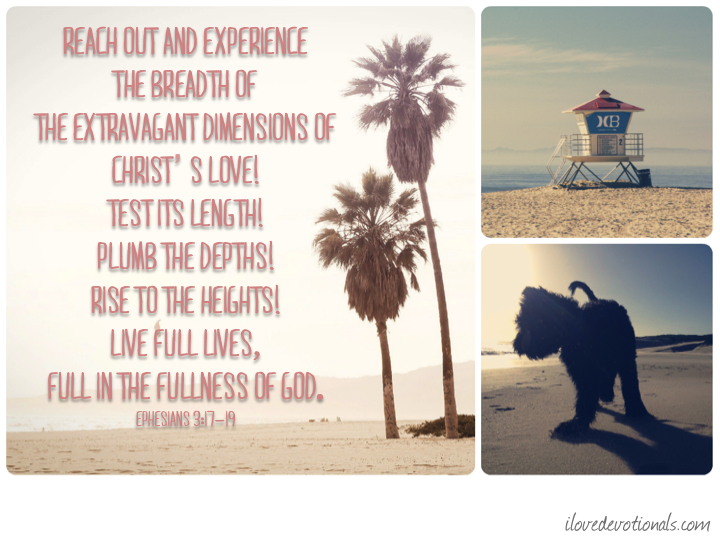 A few weeks ago, I wrote that God hasn't disturbed my life but that is not true. He bought Oliver into it. When Oliver arrived at 8 weeks old we opened our lives to all the mess, chaos and love that a puppy brings. We’ve had 7 weeks of work days interrupted by a “Take me walking look.” Meals interspersed with, “No! Oliver! Stop eating the chair!” I’ve lost my temper with him when he’s bitten my feet just to get my attention. And then there have been the times when he curls up with his head on my feet while I reply to mails. Or when he wakes up from a nap and leans his body in for stroke. And times when I’ve laughed as he sprints around the garden as if 30 laps will never be enough to release the energy locked up inside him. Oliver is a disturbance. And a reminder. A reminder that my heart has more space in it to love. I have more capacity to love then I give myself credit for. A reminder that God's love is higher and wider than I can imagine. I’ve needed these reminders the last few days as we find our feet in a new place. There are builders all over our space. It’s a struggle to go to the bathroom with no locks on doors and five strange men having free reign of the house. The internet is so rare here finding a decent signal feels like stumbling across a hidden gem. With both my husband and I working at home the feeling of being out of touch at work has left both of us with short fuses and sharp words. And then I look at Oliver. A disturbance. And a reminder. A reminder to keep my heart open to new places and people. A reminder that God’s love covers everything. 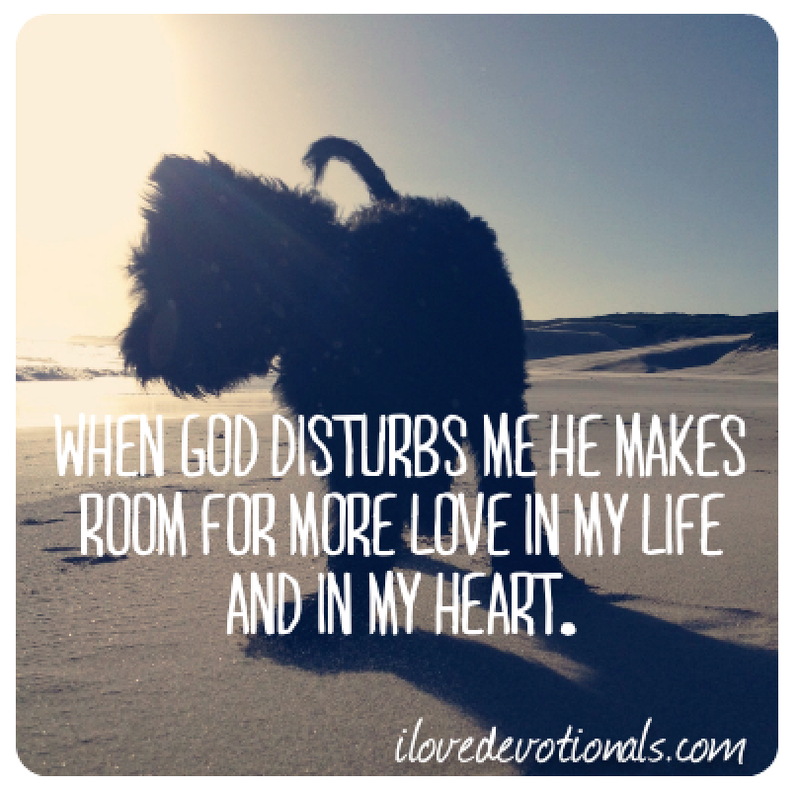 I’m learning that when God disturbs me he makes room for more love in my life and in my heart. Ponder: What disturbances have there been in your life since the beginning of the year and how have they changed you?